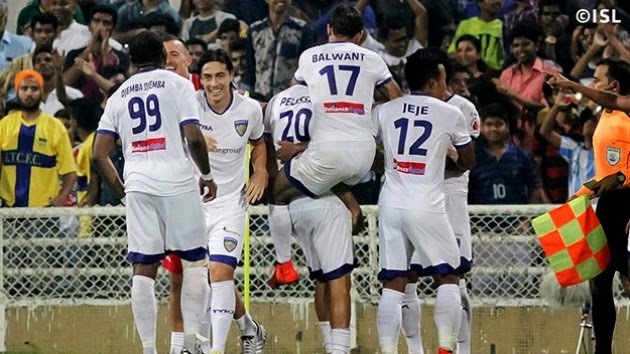 Chennaiyin FC scored a late flurry of goals to get past hosts Mumbai City FC by a 3-0 margin, the goals coming from Bruno Pelissari, Dhanachandra Singh and substitute Cristian Hidalgo. The match played at the DY Patil stadium in Navi Mumbai on Sunday saw Mumbai City’s citadel finally breached after a run of five clean sheets in a row. The hosts have now slipped down to sixth place in the Hero Indian Super League table, while Chennaiyin (19 points) extend their lead at the top of the table by three points over Atlético de Kolkata.